With summer approaching quickly it’s time to start thinking about hurricane season again in Florida; except Florida isn’t the only place where hurricanes can strike. Our biggest fear when moving to Tampa was fear of hurricanes and having to run from them each year. What we realized is that these storms can strike anywhere and are likely to cause more damage to those areas who are not prepared. Scientists have been indicating that climate change may be to blame for increased hurricane strength, making them even more dangerous. With Hurricane Sandy devastating areas of New York it makes me wonder what this year’s hurricane season will look like. Did you know that you can help alleviate the stress on our climate by conserving energy in our homes and cars? Little things that we do at home can either waste energy or conserve energy. According to the Environmental Protection Agency (EPA), the ENERGY STAR program helped to reduce utility bills (from consumers and businesses) by $24 billion dollars and prevented over 242 million metric tons on greenhouse gas emissions in the past year (2012). Each time we install an ENERGY STAR light bulb, appliance, electronics we are making a small step to reduce our energy usage and reduce greenhouse gasses that cause climate change. Just think about the impact if everyone made a few small changes in their lives. This summer ENERGY STAR is partnering with the PTO Today and LG Electronics to help educate our children and their families about the importance of saving energy. 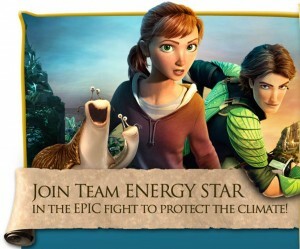 The PTO Today is working with the makers of the new animated movie EPIC to bring their eco-warrior characters to help make energy saving fun. EPIC tells the story of an ongoing battle between the forces of good, who keep the natural world alive, and the forces of evil, who wish to destroy it. Hmmm….that doesn’t sound like our world at all does it? Perhaps we should make our government and business leaders watch this film with their children. Install energy efficient lighting in your home. CFL and LED lights can last up to 10 times longer than fluorescent light bulbs and 4-10 times more efficient than fluorescent light bulbs. Look for the ENERGY STAR label on all appliances and electronics that you purchase. Turn off all lights and electronics when you leave a room and work by a window using natural light when possible. Turn off room fans when you leave a room. While they may help you feel cooler they use a lot of energy and don’t cool the room. Unplug your cell phone, tablet, and laptop chargers when not in use. These chargers pull electricity even when fully charged. Join Team ENERGY STAR and help Change the World! Families can download an ENERGY STAR Home Check-Up kit and other interactive material to help save energy at home. Have your kids share their energy saving stories with ENERGY STAR and they’ll become eligible to win all kinds of great LG energy-saving electronics to help save even more energy and change the world! Don’t forget that hurricane season officially starts June 1st. Use the month of May to help prepare for the upcoming season. Sit down as a family and create an emergency plan for natural disasters like hurricanes. It’s important to know what to do before the storm hits, during a storm, and what to do after the storm hits. We have to update our emergency supply box every year to ensure that batteries are still working and that the food and water is still good. Did you know that plastic water bottles actually deteriorate? Since we don’t regularly buy water in bottles, we only have a few bottles that we store for emergencies and the bottles actually start to get holes and leak within a year. If you have a baby in diapers you may want to read my post about Diapering in a Disaster; tips for using cloth diapers when a natural disaster strikes. Do you live in a hurricane prone area? 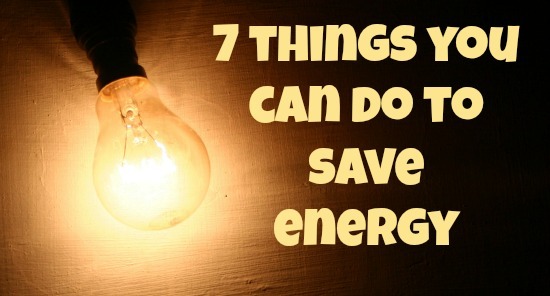 What steps do you take to be prepared and what does your family do to conserve energy? 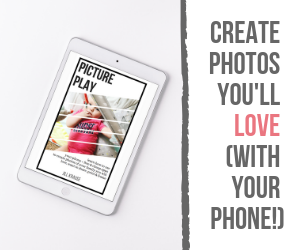 let you know a few of the іmages aren’t loading correctly. I’m not sure why but I think its a linκіng issue.